I hope everyone has had time to assemble their jacket bodies over the last week or so. Today, we’re going to work on the collar and facing unit. The good news is that this is a little simpler with this jacket because it doesn’t have turned down lapels (like a blazer would). So you don’t have to worry about the roll of the lapel and whatnot. The steps here aren’t all that complicated, really. First, you create the facing. Then attach the collar to it. Now you have a collar/facing unit. Then you attach the under collar to the jacket. That’s your under collar/jacket unit. Then you sew those two units together. That’s about it! Oh sure, there are a few little tricks and techniques along the way, but the basic process should be easy to get your head around, I think. 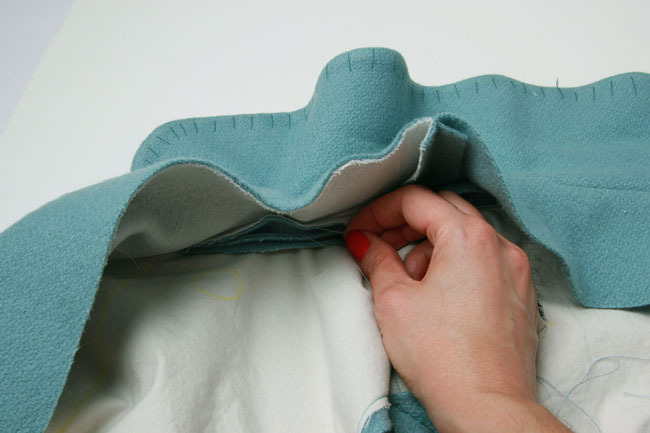 With the rights sides together, stitch the front facing pieces to the back facing at the shoulders. Press the seams open. Staystitch the facing neckline 1/2” from the edge, beginning and ending at the large circles that fall on the center front line. Clip the seam allowance at each circle, clipping up to the staystitching. 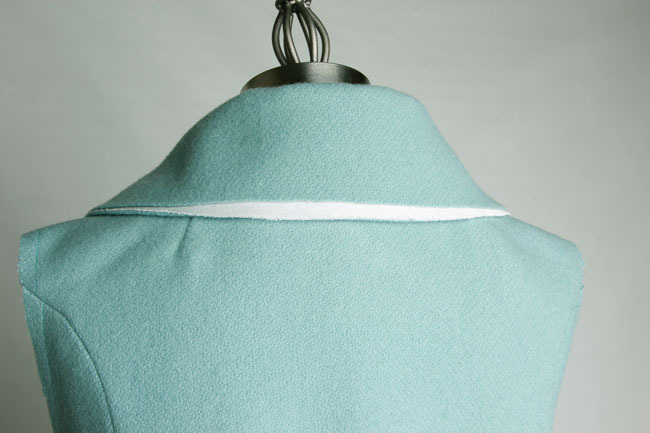 With right sides together, pin the collar piece (F) to the facing, matching notches and circles. Stitch the collar to the facing unit, beginning and ending at the circles. Backstitch to secure ends and leave long thread tails. 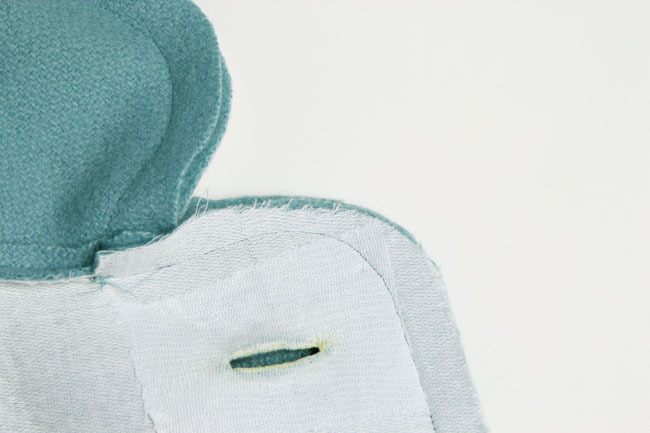 Trim the seam allowance to 3/8” and press open. With right sides together, pin under collar (H) to jacket, matching notches and circles. 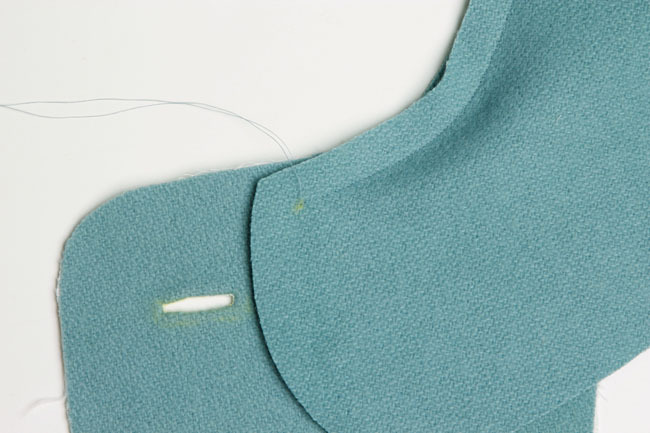 Stitch under collar (H) to jacket unit, beginning and ending at the small circles. 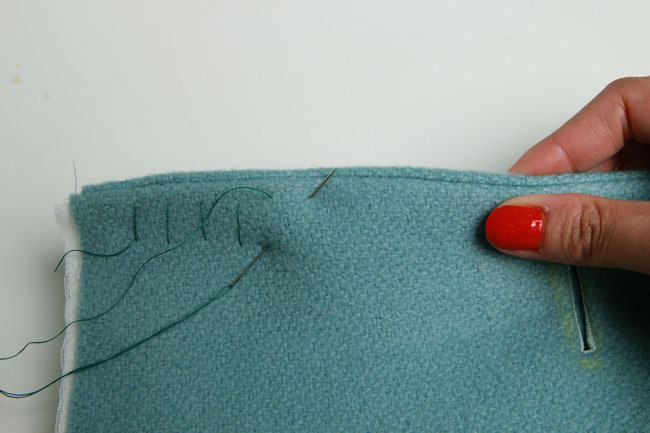 Backstitch to secure ends and leave long thread tails. 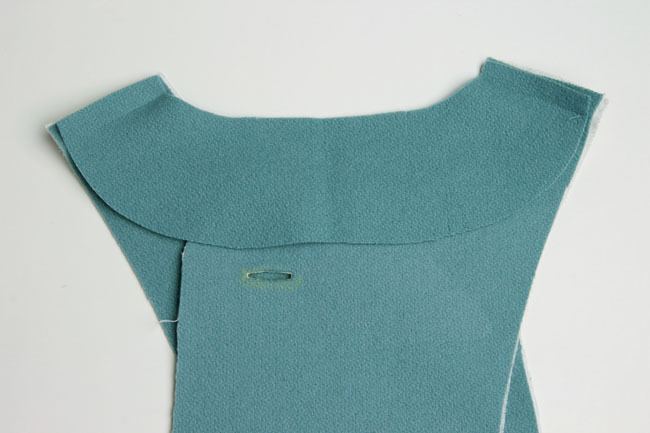 Pin the two layers together all along the neckline. 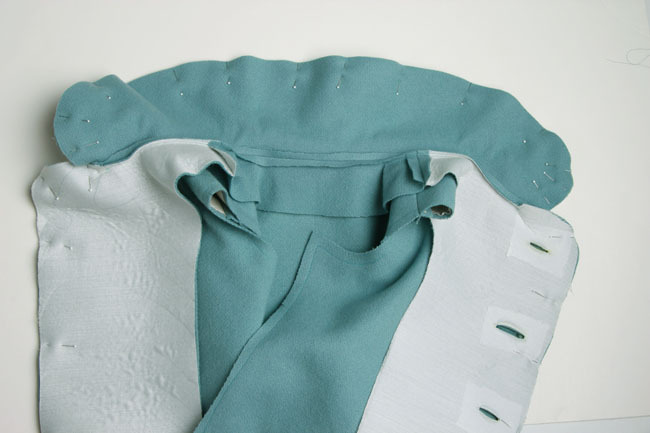 Remove the pins from around the outer edge of the collar. Put the jacket on a dress form. If you don’t have a dress form, put it on yourself and have a friend help you. You’ll notice that the collar seems slightly shorter than the under collar. Mark where the raw edge of the collar falls on the under collar. 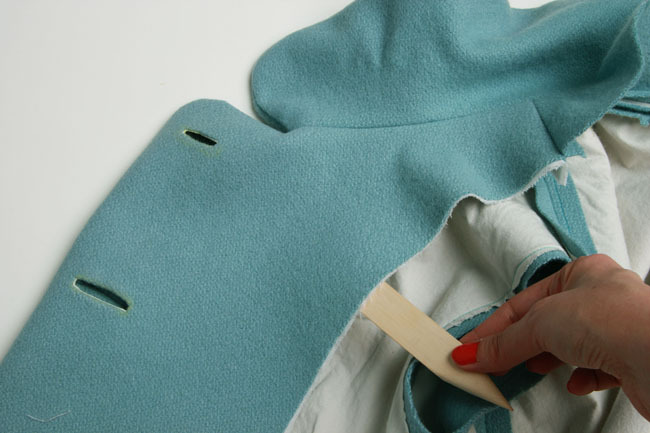 Trim this excess fabric from the under collar. 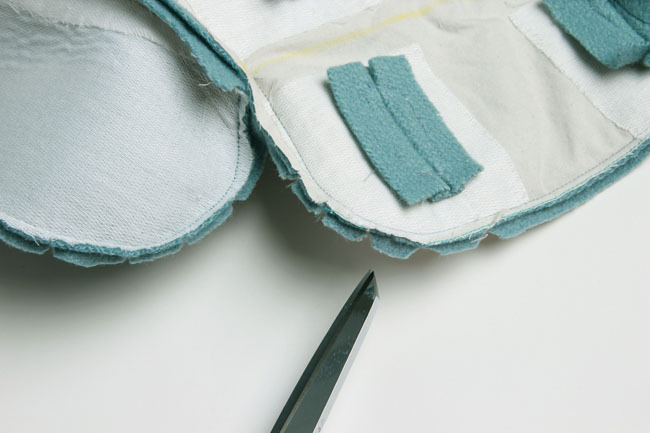 Note that the pattern already contains some adjustment for turn of cloth, so depending on your fabric, it could be that no adjustment is needed. 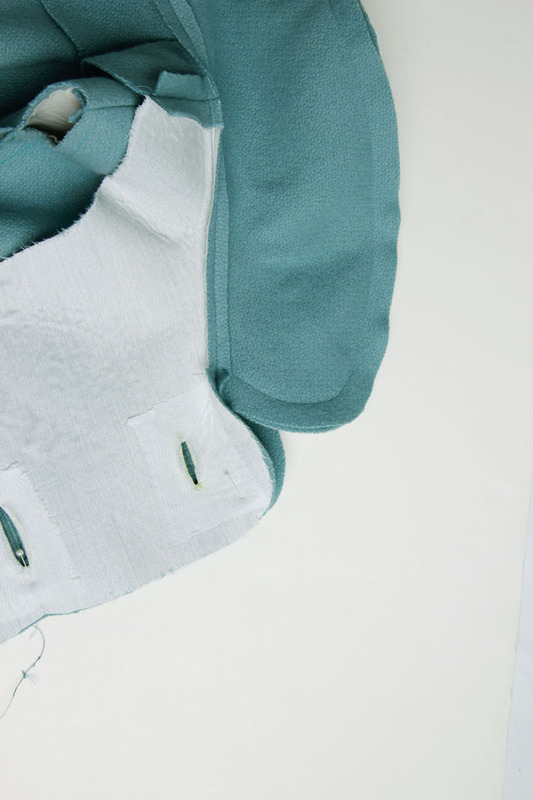 Attach the facing and collar to the jacket. You should now have a facing/collar unit and a jacket/under collar unit. Pin these together, with right sides together, matching up the edges. Stitch collar (F) to under collar (H), beginning and ending at circles. Tie off and trim these thread tails. There should be four remaining long thread tails at each circle. Thread a needle with each of these and bring each through the circle to the facing side. Tie all four tails together and trim thread. 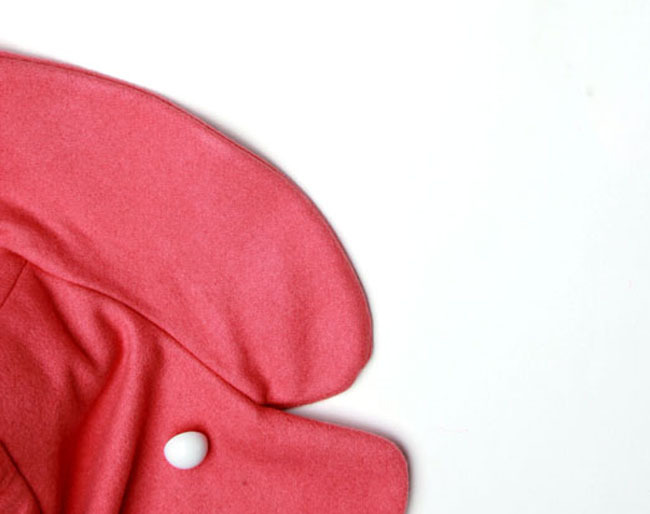 Beginning at circle, stitch facing front (E) to jacket front (A). Tie off ends. Press seams flat, then open. 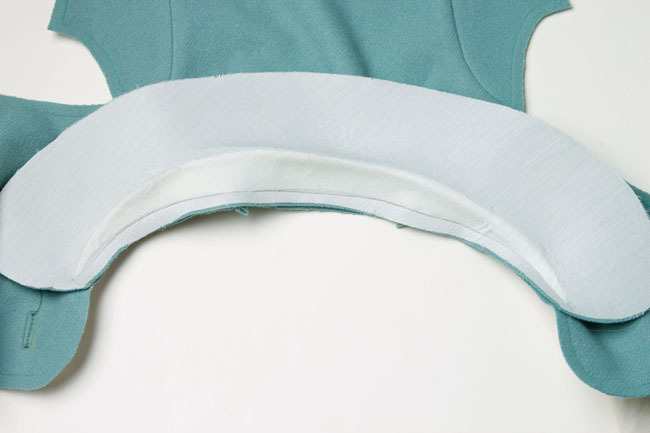 Inserting a seam roll between the layers will help in pressing all of the curves open. 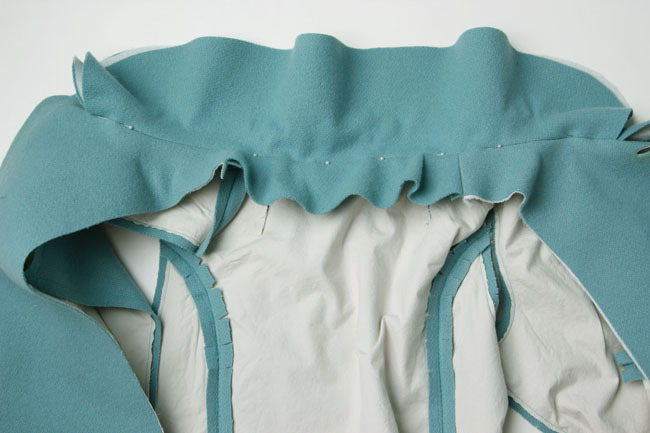 Grade the jacket front (A) and collar (F) seam allowances to 1/4”, and the facing front (E) and under collar (H) seam allowances to 1/8”. Notch the outer curves around the collar and top. Baste the facing in place. Turn the facing to the inside. Use a point turner to help push out points and edges. 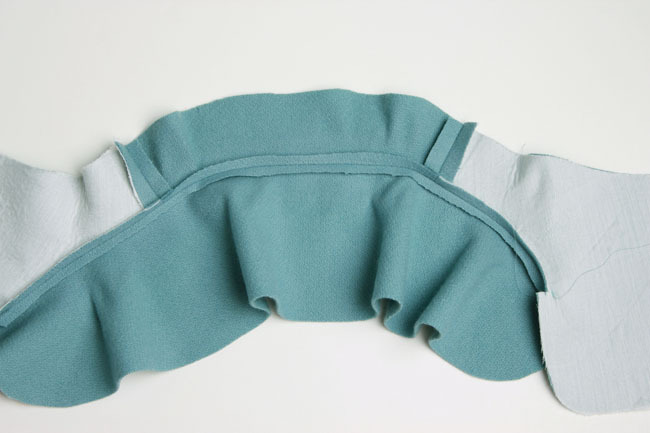 Roll the facing slightly to the inside of the jacket, and roll the collar slightly toward the underside. Baste in place with silk thread as you roll with diagonal basting. This is to keep the edge of the facings from rolling toward the outside. Press the edges flat. 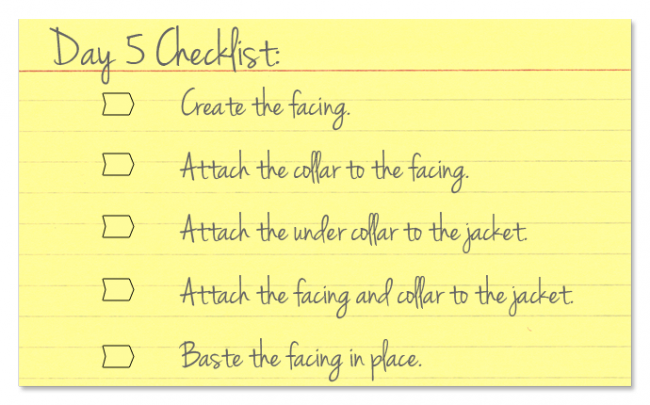 To secure the neckline in place, open the facing away from the jacket. 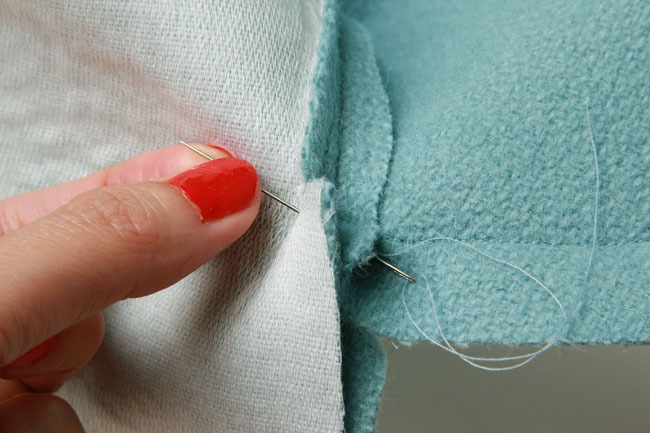 Using polyester thread, hand stitch the collar to the under collar seam allowance all along the neckline, working from the inside and using a loose catchstitch. That’s it! Your collar is now in place and you’re ready to move on. 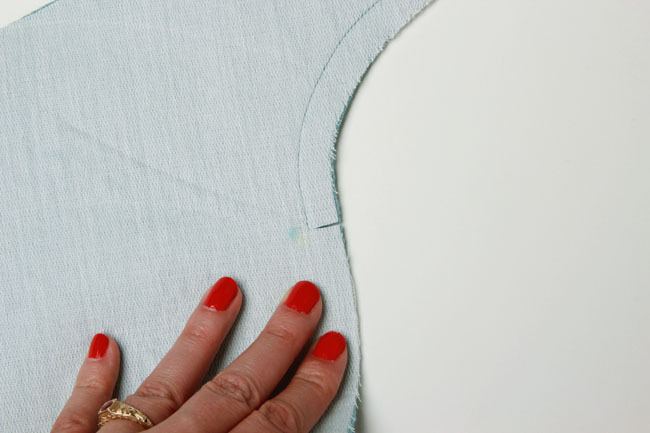 On Thursday, we’re going to cover sewing the two single welt pockets. Don’t forget to visit the Anise Sew-along group on Flickr to share your progress and help each other out! woo! can’t believe i am keeping up with this (in fact i’m even a little bit ahead!). i’m learning such a lot on this one thanks to the great and clear pics in the Companion guide (altho i think my bound buttonholes may not be the most even ones i have ever seen). bring on the welt pockets! I love your detailed instructions! I am also a bit ahead- my first-ever bound buttonholes are not as good as I would like but I am so happy I tried this technique that I don’t mind. I have already learned so much and I know next time they will be better. 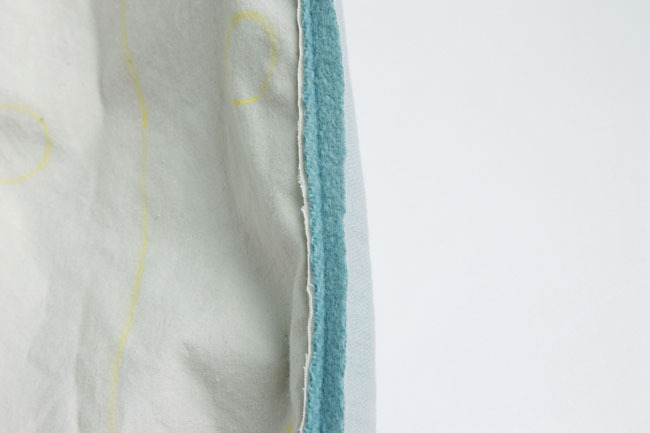 Next is the first-ever welt pocket… So many “firsts” with this jacket- I am very excited! wow. These are amazingly detailed instructions. Thank you! I’m just getting back into sewing after the birth of my son so I’m not quite ready to tackle a coat yet, but I have the Anise pattern and with this, I feel confident I’ll be able to.